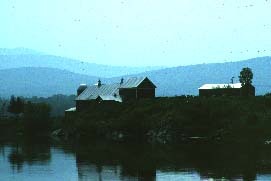 Old barns are useful and to many people beautiful, and each one is a part of Vermont's heritage. That doesn't mean every one can be saved, but it does mean that they should be maintained and reused if it makes sense. It often makes good economic sense to keep barns. They provide valuable storage and work space. They usually can be adapted to new uses at a much lower cost than building a replacement. Where budgets are tight, adapting an existing barn rather than building new can mean the difference between "paying as you go" or paying interest on a bank loan. Preserving a barn's historic character can go hand-in-hand with the economic and efficient use of a farm building.